Game Day Nail Decals are the next big thing in female fan products. 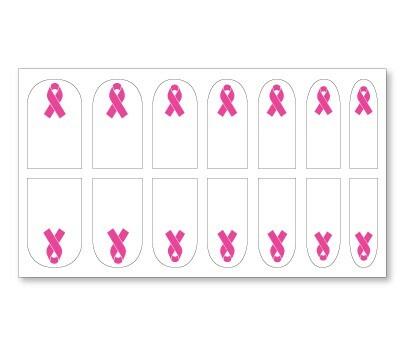 You just peel these breast cancer nail decals off, stick them on your nail, and you trim away the excess. Stays on for days and comes off easily when you're ready to take them off. Breast cancer nail art designs are great for both Athletes and Fans! Easy to use, just peel and stick.